Threaded rods and nuts made of Lignostone® produced in a non vacuum impregnated grade (standard) and a vacuum impregnated special grade are used in transformers. 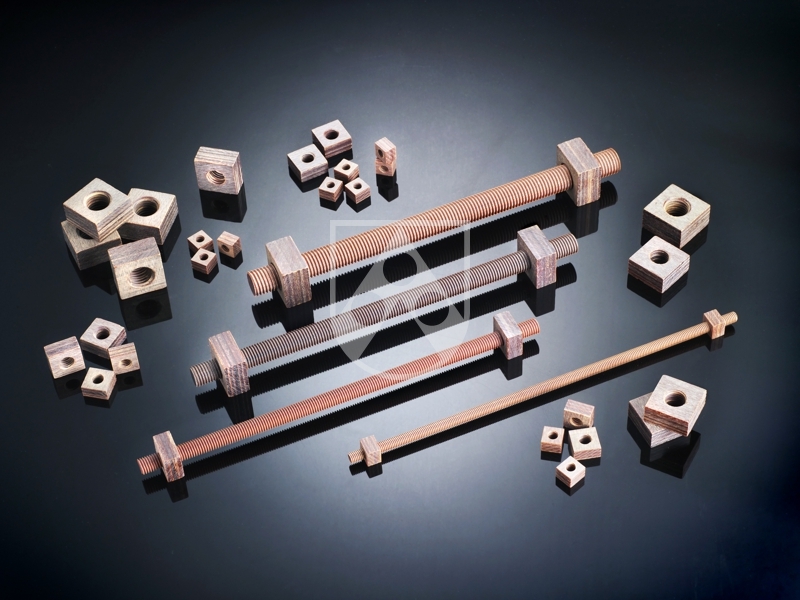 Offcuts can be supplied in customised lengths (<1,000 or 1,130 mm). Other sizes can be manufactured by agreement.